Zérui Depina was born on June 11th, 1968 in Cape Verde amid a family whose members were literally awaken to the sound of music, the young José Rui De Pina (Zérui) was immediately thrown into the mixture by his uncle, the well-known musician, João Alves (Nhô Djonsinho.) As a curious 8 year-old, he used to follow around adult musicians as they performed in his neighborhood. To entertain him, Nhô Djonsinho handed Zérui a Guiro “ reco-reco ” to make him feel part of the crew. This interesting gesture somehow inspired the then immature Zérui, who began taking music more seriously. He learned to play the cavaquinho when he was 10 years old and it was around that time that he joined “Sodadi,” a local band, which performed at local dance halls on Thursday and Friday evenings. Ironically, his band mates thought he was too young to play such a high-status instrument! He then turned to his cousin Kim Alves who taught him the tricks of a guitar. Feeling more confident about his ability, Zérui founded the band “Bem Be Djaz” with his friends Dida, Nenei and cousin Kim. At 16, he immigrated to the United States where he immediately became the bassist for “Arpa Sound,” a band formed by well-known vocalist Frank De Pina. He then united with “Os Pecos” before joining the band “Ice” in 1993, with whom he recorded “ Sonho ,” (Dream) a song he wrote and interpreted. With “ Sonho ,” Zérui officially became a songwriter, a singer, and at the same time stretched his own wings as a musical whiz kid. Shortly after performing with “Os Pecos,” Zérui founded his own band, “Netinhos Di Vóvó,” a band which soon became one of the most demanded in Capeverdean communities throughout New England . Zérui, however, finds it fulfilling to share the stage with other Capeverdean artists. 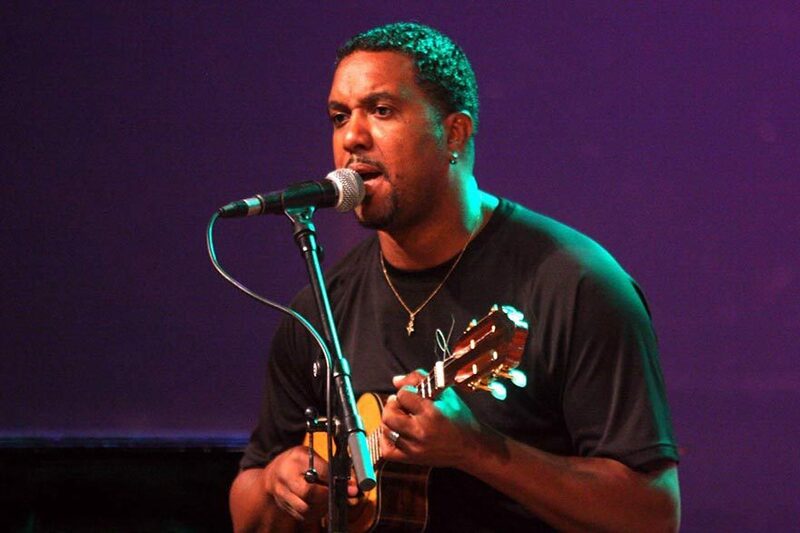 Zérui has performed with Capeverdean musical giants such as Bana, Tito Paris, and Paulino Vieira as well as Angolan superstar, Bonga. He has joined Norberto Tavares, Nhô Djonsinho and his Sons in Cape Verde , and Maria De Barros all over the United States and Canada . He also performed with Fantcha at the Hollywood Bowl, Chicago World Music Festival, and Summer Stage in New York . In 1996, he released his first solo project “ E Si Ké Mundu ,” (That’s the way world is) produced by Kin Alves. In 1998, Zé Rui followed with “ Natural ,” an album which confirmed his status as a multifaceted artist. He now introduces “ Nha Luz, ” (My light) his most ambitious album, filled with illustrious and diverse styles and rhythms.